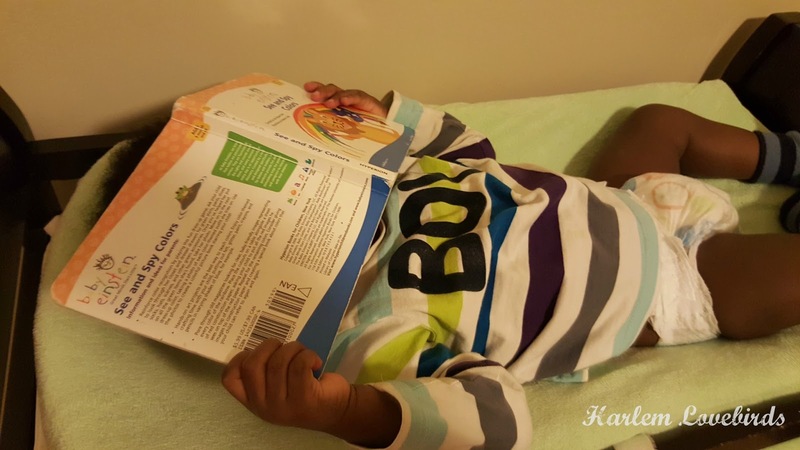 Harlem Lovebirds: We're Nearing Potty Training with Help from WaterWipes! 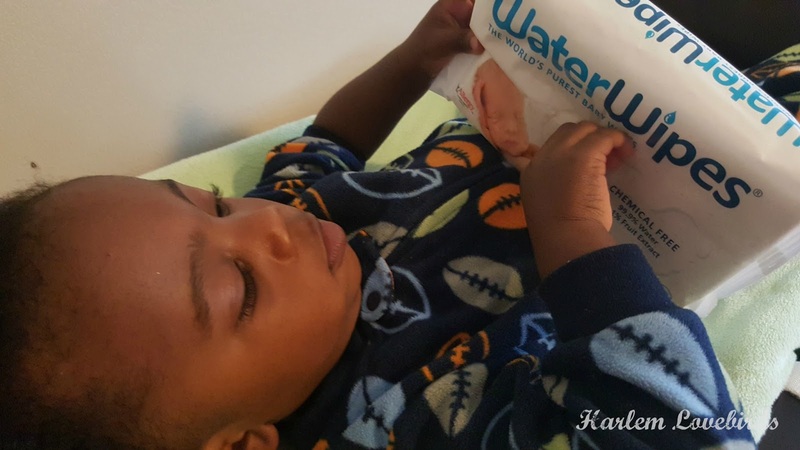 We're Nearing Potty Training with Help from WaterWipes! This week Grayson has his 18 month well visit, and we're also thinking ahead to potty training. While Nia was already starting to use her potty at this age, Grayson quite isn't there yet but he's showing readiness including taking off his diaper when he needs to go. I think that's a pretty clear sign, right? He's a very involved diaper changer, to put it politely! He tries to help clean up, position his new diaper, and he's especially passionate about wipes. When I was pregnant with him I first learned about WaterWipes at a NYC baby expo where I was given a sample. 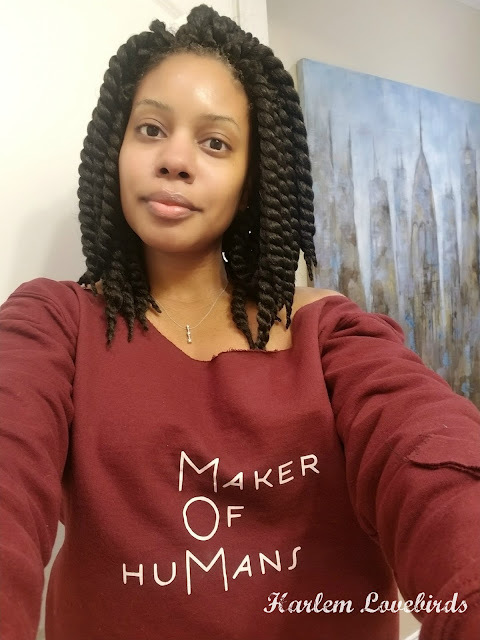 As a previously full-time, cloth-diapering family, I interchanged between conventional and cloth wipes with Nia especially if we were traveling, but I was always concerned about the chemicals in conventional wipes. Enter WaterWipes, a chemical free wipe. In other words, it's preservative free containing only two ingredients: 99.9% purified water and .1% grapefruit seed extract. I was thrilled to learn it's pretty much what I use when we're using cloth wipes, and making them easier to take with us on the go. I visited my local Target and found them easily with a couple different size options to choose from - I purchased two, 60-count packs. When he's not helping me this is what he's doing! During Grayson's diaper changes I noticed that the WaterWipes weren't interfolded which actually is more sanitary and also makes them perfect in their own container - it's not advised to take them out of the package and repackage in other containers. We were able to toss them in our diaper bag changing station and keep a pack at home. Since there are no preservatives they need to be used within 1 month. This wasn't a problem at all, and if we needed to stock them in our diaper changing table long-term they keep up to 15 months. And of course I have to talk about performance. There are definitely differences between boys and girls when it comes to the output department and Grayson has more intense diapers than Nia. WaterWipes handled them easily and since I use unscented wipes on him anyway, there was no missing of perfume for us. He was left smelling like his usual baby self which is fine by me! One extra bonus of the WaterWipes is because of their purity I was confident using them on other areas of his skin: wiping his hands and nose especially. He has sensitive skin and some eczema challenges still and there was no adverse reaction to WaterWipes! 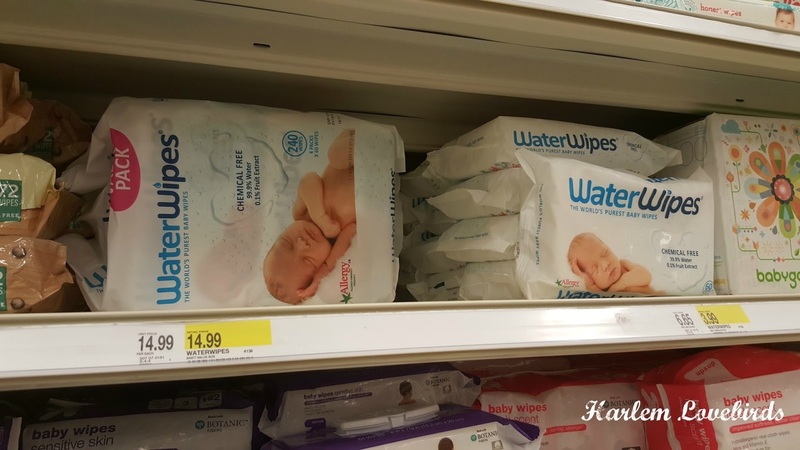 If you're interested in giving WaterWipes a try here's a local store locator to find your nearest Target. Also be sure to follow WaterWipes on Facebook, Twitter, Pinterest, and Instagram for the latest product news and promotions. Is your little one a helper during diaper changing time? What age did your child potty train?